When a Japanese pilot crash-lands on the tiny remote Hawaiian island of Ni’ihau, he is met with courtesy and traditional Hawaiian hospitality from the locals – until they discover he was part of the recent attack on Pearl Harbor. Based on a True Story. 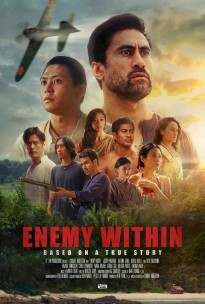 Based on this incredible true story from 1941, ENEMY WITHIN is an intelligent and bold character-driven historical action/drama/thriller with themes which focus on human dynamics, cultural assimilation, and the desire to do right by people, regardless of their race, color, creed, or nationality. Doors will open 30 minutes prior to each showing. $8.50 General, $7.50 Seniors & Students.